Ash Kumra’s book is based on the idea that everyone can start a movement. 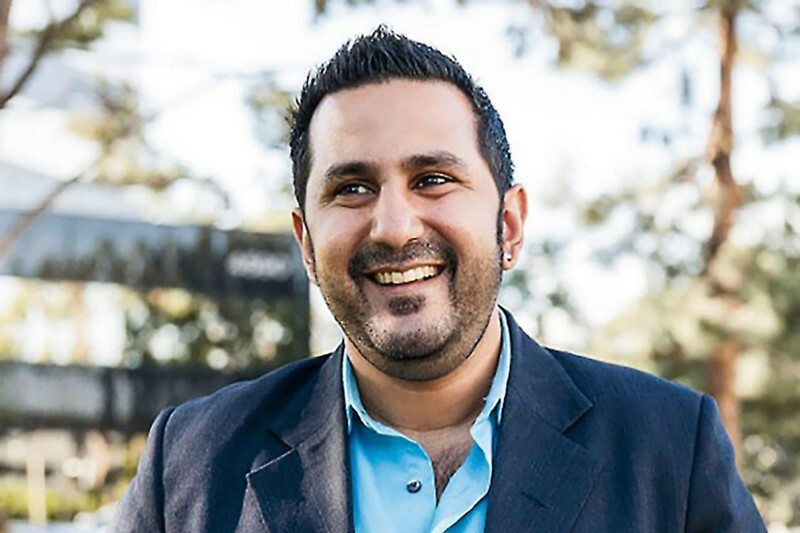 At the end of last month, media entrepreneur Ash Kumra was on the phone with a recently introduced connection who runs several Silicon Beach programs. He meant to introduce his latest venture, an entrepreneurial media platform called Youngry, only to find that this heavy-hitter in the Santa Monica entrepreneur scene had already heard about it. It was all over her Facebook feed. Earlier in the Youngry launch campaign, an investor in Phoenix was inspired after hearing Ash speak on a radio show, invited him to speak at events and introduced him to a group of entrepreneurs and investors. The launch of Youngry has started a movement, and has done it organically without spending any money on getting attention. Their traction comes from like-minded people who believe in their cause of uniting entrepreneurs and who want to participate in the movement. All its growth happened within this year, starting when Ash, a speaker, author and two-time White House award-winner, realized that his work was unaligned with his inner purpose and continued to be unfulfilling for him. Tying his passion for media with his passion for being a creator, he decided the change that he wanted to create lie in sharing the stories of entrepreneurs who are making change themselves. His business wasn’t always something that garnered everyone’s support. When he was first pitching it as just an e-commerce entrepreneur content site, no one had a reason to care. Ash had to rethink how he was going to communicate his vision. He wanted Youngry to showcase local game-changing startups and to empower anyone with a story to be a content contributor. Ash realized that the mentors he looked up to were successful because they each had created their own movements. So he launched Youngry not as a product, but as a message, and one that was going to grow louder, if people wanted to be a part of it. Youngry just completed its launch tour, which included 20 events across eight cities. According to Ash, in the last three months Youngry has had more success in terms of monetary potential, national impact and personal fulfillment than the last five years of his entrepreneurial career. One of the inspirations for Ash’s book, the CEO of the fitness brand ViSalus Ryan Blair, created a movement with 90-day fitness challenges. This in turn inspired the ALS Association’s Ice Bucket Challenge of 2014. In an interview at a Youngry event, Ash asked him how he created a movement. In what Ash calls the “entrepreneur generation,” consumers are increasingly wanting to buy stories and messages, not just products. While the concept of businesses creating movements has been around for a while, he argues that it’s time to make this more accessible to everyone. The format of the book will allow him to spread his message as a template. Ash wanted to make his message tangible and timeless, and chose Publishizer as a publishing route because of its crowdfunding model, similar to the equity crowdfunding that fuels Youngry. Because of a new equity crowdfunding law — Title III REG CF, which passed in May — the Youngry team was able to reach out to both accredited and unaccredited investors ontheir Republic.co platform. Is your business passion- or trend-based?